Green Salad has to be one of the strangest recipes in The Prawn Cocktail Years. It opens with a rant about how hard it is to find a Green Salad, and how everybody seems to adulterate it by adding things that simply shouldn’t be there – such as cucumber, cress or green pepper. Or horror of horrors, a tomato! Apparently, a Green Salad is lettuce leaves. Just that. Lettuce leaves, Washed, dressed, tossed. Almost as an afterthought, they throw in a dressing. The implication is definitely that this just happens to be a nice dressing, nothing special about it. 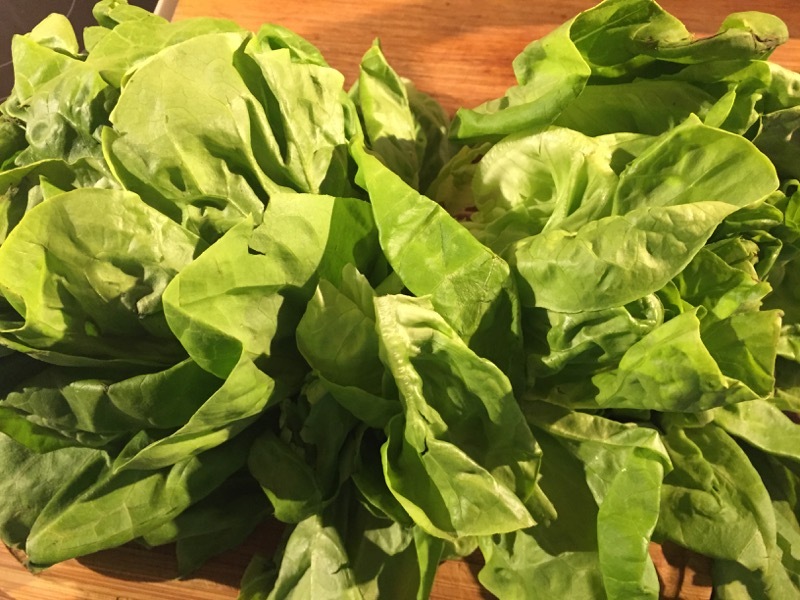 It’s certainly not a part of the recipe, just a suggestion as to how you might like to dress those lettuce leaves. So, here goes with the one-ingredient recipe. 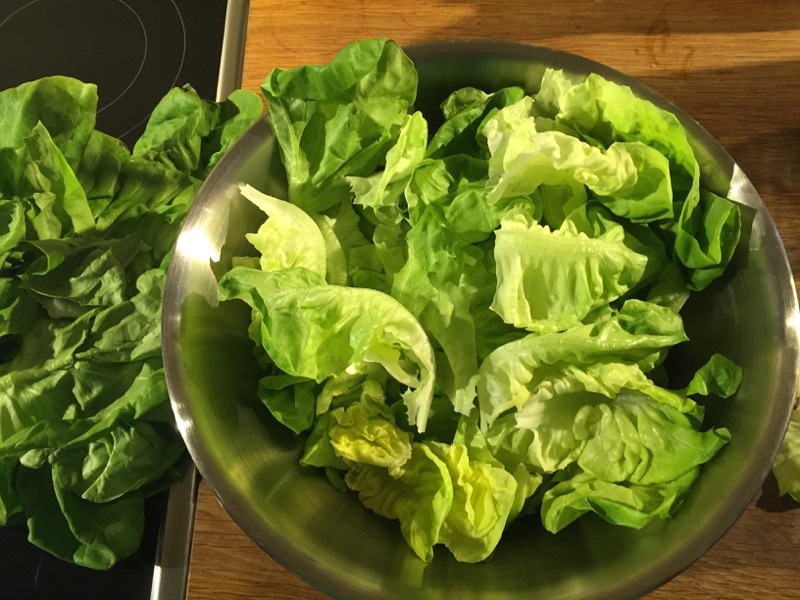 The recipe stipulates old-fashioned style floppy green lettuces, one per person. That sounds like an awful lot of lettuce to me, but we’ll see how it goes. I’m told to be ruthless about the removeal of the outer leaves, and I am, but there’s still a lot of lettuce in the bowl when I’m done. I figure I ought to make the dressing too whilst I’m here, otherwise this is going to be a pitifully short post. The dressing calls for tarragon vinegar, which neither I, nor Waitrose have to hand. 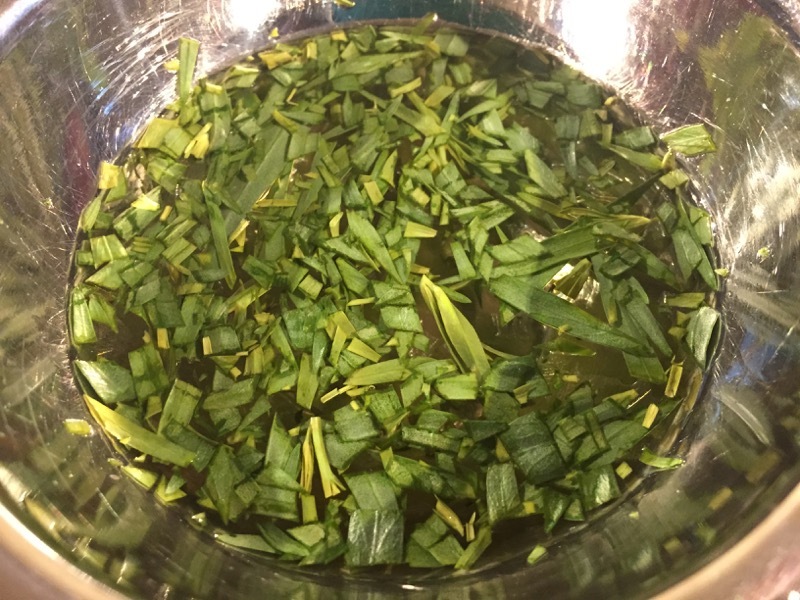 I improvise and chop up some tarragon leaves and leave them to steep in white wine vinegar for a little while. After straining, it tastes delicious – beautifully tarragony – this might be rather nice after all. 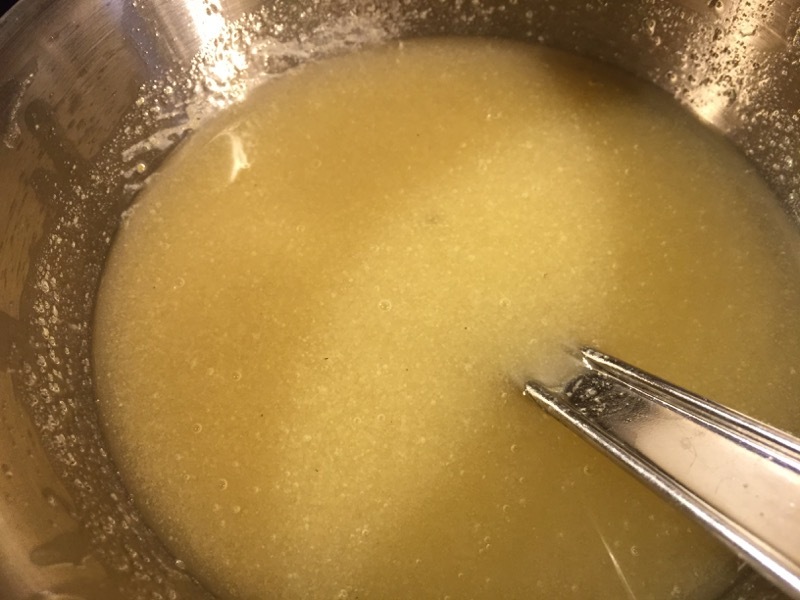 I whisk some of the vinegar with the usual suspects – oil, mustard, salt and pepper, and a little sugar. The recipe seems to call for a vast amount of oil, to go with a puny amount of the tarragon vinegar – I even sneakily add a dash extra, but still the flavour seems be lost in the vast volume of dressing. Maybe this isn’t going to be that great. I dress and toss the leaves. Finally, I serve in a bowl alongside some barbecue. I can’t help myself, and I include a separate side salad of tomatoes and red onion with balsamic vinegar. It is disappointing. 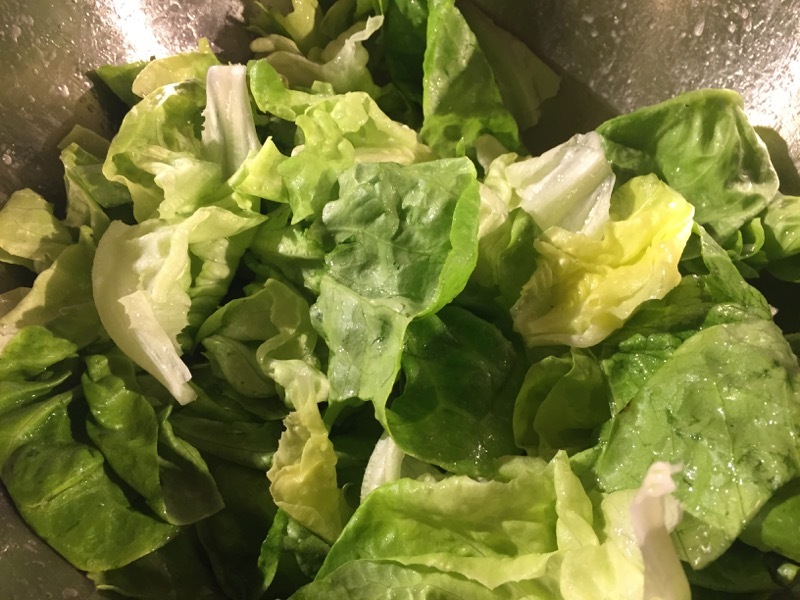 The lettuce is pleasant enough – in fact quite refreshing for the first few mouthfuls. It quickly wears thin though. There is so much to get through, and the dressing helps lubricate it, but offers no real flavour. In the end, I get the rest of the tarragon vinegar and splash a bit more of that over the lettuce, which certainly helps. I’m overwhelmed by the sheer volume of lettuce though, and I’m afraid I fail to finish my bowl. The barbecue and tomato salad were very good. I think with a more flavourful dressing, and half the volume of lettuce leaves, this would actually have been quite nice. The tarragon vinegar could have made an excellent dressing, but I feel the ingredient proportions in this recipe are rather askew. More vinegar, less oil, I’m sure. Erm, it’s green. And it’s just lettuce. And it’s boring. I had to add extra tarragon vinegar to mine to give it a bit of interest. 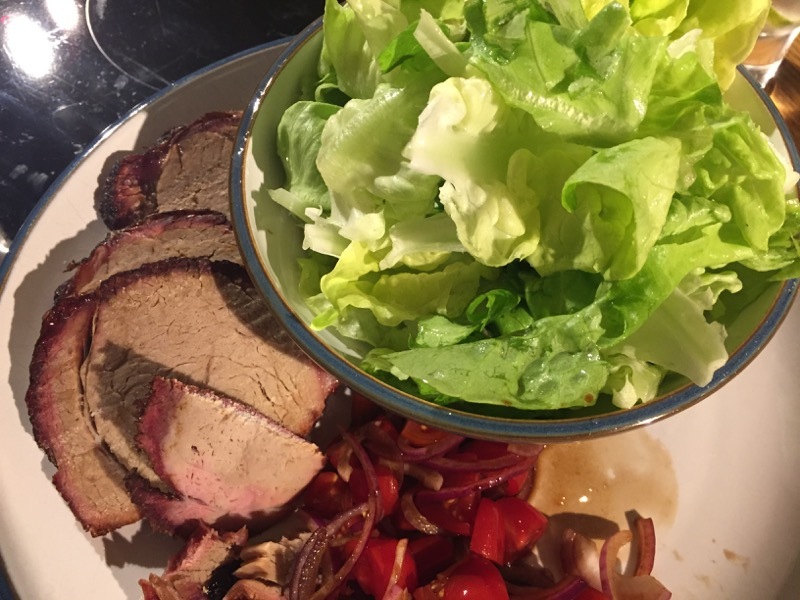 Thankfully Dave had made a small tomato and onion salad to go on the side of the barbecue so it helped to dissipate the boring green salad. I can’t see why anyone would include a pile of lettuce and a boring dressing in a cook book. Big fail in my book. The rest of the meal was nice. A most excellent recipe my good sir/madam! A fresh, Greene (TM) salad is exactly what everyone should serve on their dining table! Good day sir/madam! I was hoping to get in touch with the author of this most excellent blog. As it has been some time since the last recipe was cooked, I was hoping to hear good news that there will be an update soon. Many thanks, and I do wish to thank you again for your fine work on the blog to date! It is true that we seem to be going through a somewhat fallow period. I hope to remedy this in the near future. You’ve remedied it well and surpassed my wildest expectations. Mark my words, folks, Mr Dopiaza is a culinary heavyweight worthy of rivaling the great Ramsay, Pierre White and Stone.